Plot:A critically acclaimed film that won a total of eight 1970 Academy Awards® (including Best Picture), PATTON is a riveting portrait of one of the 20th century's greatest military geniuses. One of its Oscars® went to George C. Scott for this triumphant portrayal of George Patton, the only Allied general truly feared by the Nazis. Charismatic and flamboyant, Patton designed his own uniforms, sported ivory-handled six-shooters, and believed he was a warrior in past lives. He outmaneuvered Rommel in Africa, and after D-Day led his troops in an unstoppable campaign across Europe. But he was as rebellious as well as brilliant, and as PATTON shows with insight and poignancy, his own volatile personality was the one enemy he could never defeat. Plot:Winner of 9 Academy Awards®, including Best Picture, Best Director and Best Supporting Actress (Juliette Binoche), this unforgettable story is the picture event of the year! During World War II, when a mysterious stranger (Ralph Finnes – ‘Schindler’s List’) is rescued from a fiery plane crash, he is cared for by American allies unaware of the dangerous secrets of his past. Yet, as the mystery of his identity is slowly revealed, an incredible tale of passion, intrigue and adventure unfolds! Also starring Kristin Scott Thomas (‘Four Weddings and a Funeral’) and Willem Dafoe (‘Clear and Present Danger’), ‘The English Patient’ is a powerful cinematic triumph sure to entertain you! Epic masterpiece, beautifully shot, my second viewing of this answered questions from the first. Fiennes is solid, sometimes remote, Juiliette Binoche beautiful as always, but Kristin Scott Thomas was always the film's star for me. A pleasure to sit through again. AHA! There's one for the overrated thread. The English Patient... did something actually happen in that film? I'd give it 4/10. I'm not going to answer you Jon until you update your php - November!!! Plot:A gallery of high-living lowlifes will stop at nothing to get their sweaty hands on a jewel-encrusted falcon. 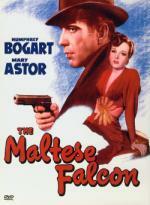 Detective Sam Spade (Humphrey Bogart) wants to find out why—and who'll take the fall. This third screen version of Dashiell Hammett's novel is a film of firsts: John Huston's directorial debut, rotund Sidney Greenstreet's screen debut, film history's first film noir and Bogart's breakthrough role after years as a Warner contract player. An all-star cast (including Greenstreet, Mary Astor, Peter Lorre and Elisha Cook Jr.) join Bogart in this crisply written sizzler that placed in the top quarter of the American Film Institute's 100 Greatest American Films list. Many say it's the best detective drama ever. Each time you see it, you'll find it hard to disagree. Plot:In her Golden Glove winning role (Best Actress 1996-Comedy or Musical) MADONNA shines as Eva Peron, wife of Presiden Juan Peron, whose desperate ambition to climb to the top saw her trade her only asset for one shot at power and fame. Co-starring Antonia Banderas (Shrek 2) and featuring the Academy Award winning original song "You Must Love Me", EVITA is the epic true story of the charismatic, yet controversial, devoted yet ruthless, deprived yet triumphant woman who inspired the Andrew Lloyd Webber-Tim Rice smash hit Broadway musical. Also features the hits "Don't Cry for Me Argentina", "Buenos Aires" and "Another Suitcase in Another Hall". I thought Eva Perón was from Argentina, how is this connected to Hungary? Plot:Amadeus triumphs as gripping human drama, sumptuous period epic, glorious celebration of the music of Wolfgang Amadeus Mozart — and as the winner of eight 1984 Academy Awards®, including Best Picture (produced by Saul Zaentz), Actor (F. Murray Abraham), Director (Milos Forman) and Adapted Screenplay (Peter Shaffer). It's 1781 and Antonio Salieri (Abraham) is the competent court composer to Emperor Joseph II. When Mozart (Oscar® nominee Tom Hulce) arrives at court, Salieri is horrified to discover that the godlike musical gifts he desires for himself have been bestowed on a bawdy, impish jokester. Mad with envy, he plots to destroy Mozart by any means. Perhaps, even murder. Plot:Some people collect stamps, cigar bands or teacups. Jonathan saves memories of family: photos, cards, false teeth, handfuls of dirt - all sealed in individual bags and mounted on a wall. Now Jonathan seeks a more elusive memory. He'll journey to the Ukraine to find the woman who saved his grandfather from the Nazis in 1942. Liev Schreiber ('Scream', 'RKO 281') makes his debut on the other side of the camera, directing and adapting (from Jonathan Safran Foer's novel) an affecting road movie. Elijah Wood starts as buttoned-up Jonathan, and Eugene Hutz plays his language-battering Ukrainian guide. Join them as cultures clash...and as the road leads where they want to go yet never expected. They, and you, will emerge illuminated. Directed by Anthony Minghella (THE ENGLISH PATIENT), this Civil War saga addresses romance, friendship, and the ravages of war--both in the field and on the home front. Far more than a simple love story, Minghella's film captures the horrors of war for both those fighting it, and for those left behind. Based on the Charles Frazier novel, this is a tale of hope, longing, redemption, second chances, and faith. Ada Monroe (Nicole Kidman) is a proper lady who accompanies her preacher father (Donald Sutherland) to Cold Mountain, North Carolina. She waits for her love, W.P. Inman (Jude Law)--a sensitive man with little use for many words--to return from war. In the process she learns basic survival skills and finds strength from no-nonsense Ruby (Renée Zellweger), a spitfire who can work the land as well as any man. Meanwhile, wounded Inman has had enough of war and killing, and is slowly working his way back to Ada despite the perils of being a Confederate deserter. I had read the book, and IMO this is one of the rare occasions when the film actually matches or surpasses the original authors efforts.